Malaysian startup SkolaFund is what we would call a startup with a cause. Essentially, SkolaFund is a crowdfunding platform where deserving undergrads can share about their achievements and backgrounds and have the crowd support their scholarships. The purpose of SkolaFund, according to co-founders Syakir Hashim and Syamil Tengku, is to give the underprivileged an opportunity to attain higher education. Launched in April, SkolaFund is a web platform where students from humble families can gain access to a range of funding sources, including crowdfunded donations, micro loans, bursaries and scholarships. The startup seeks to become the biggest higher education financing platform in Southeast Asia. Giving this phenomenon, SkolaFund provides a platform where a community of sponsors from the public but also corporations, can support high education for underprivileged students. Once a campaign is fully funded, students must keep their sponsors updated on their progress every semester. 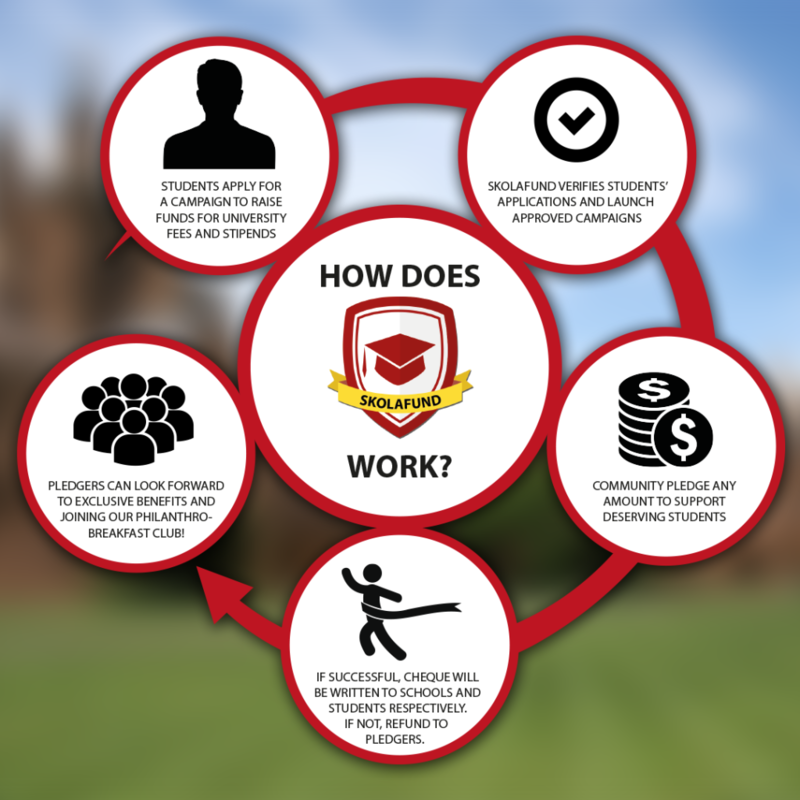 SkolaFund verifies every student campaigns and pays out the crowdfunded scholarships directly to the universities. 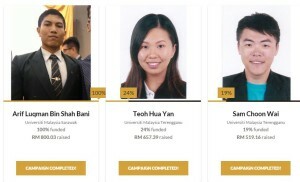 SkolaFund has now close to 1,000 sponsors and have raised more than RM10,000 (S$3,500) in funding for underprivileged students, the founders told Asia One Business. Earlier this year, SkolaFund was selected to join Startupbootcamp Fintech Singapore, a three-month accelerator program that helped boost 10 fintech startups from Asia. Startupbootcamp Fintech collaborated with over 300 mentors, partners and investors and signed more than 15 partnerships with financial institutions. Alongside SkolaFund, Startupbootcamp Fintech Singapore also counts among its alumni Toast, Otonomos, ShereIt, Kashmi, Open Trade Docs, Dragon Wealth, CreditSeva, BankGuard and Kyepot.